It has an intense red color, enveloping and warm and velvety in the mouth, with spicy notes of black pepper, tobacco and cocoa. Production limited to about 10,000 bottles a year, all hand-numbered, obtained only in the best years from a 1935 vineyard. At the beginning of the 20th century, the writer G. Palumbo in describing the Salento harvest wrote: at the end of September, at the first light of morning, when the sun’s rays penetrate the leaves of the Negroamaro vineyards, the more mature bunches take on a characteristic color which resembles that of black velvet. 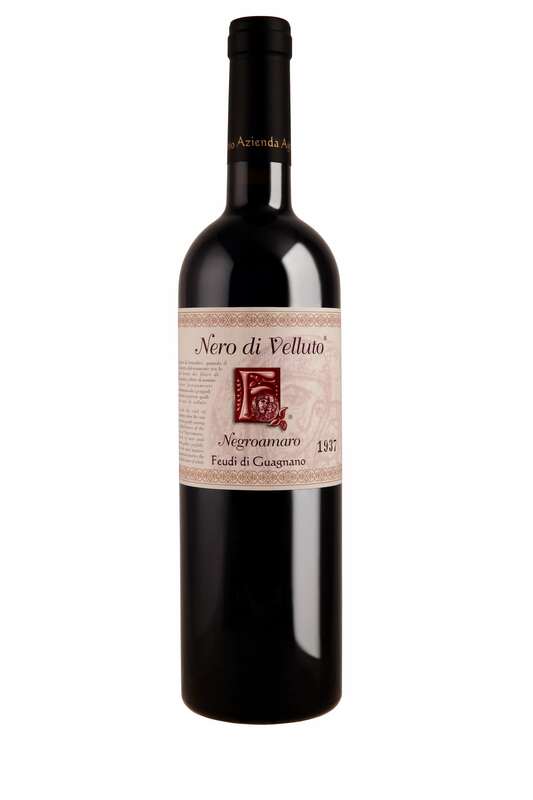 We could define it as the “Nero di Velluto”, the most important wine of the winery: a modern Negroamaro whose history begins with the 2002 harvest but which finds the source of inspiration for its name in a 1918 script by the Salentine photographer and journalist Giuseppe Palumbo . 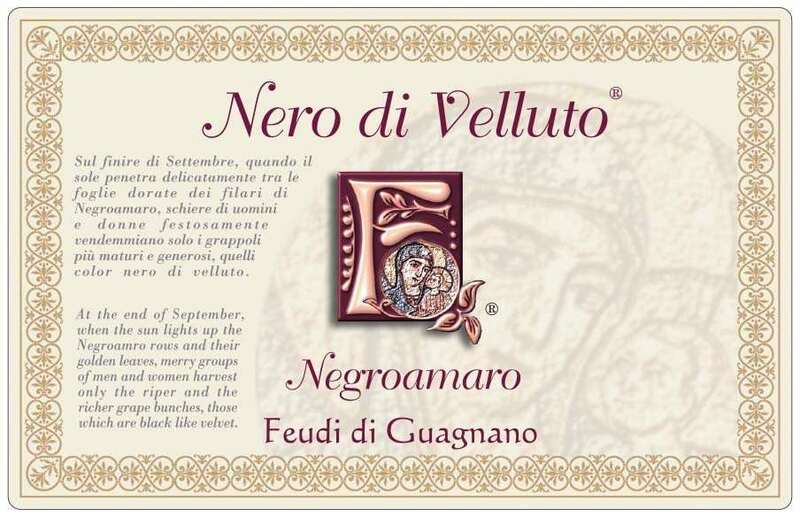 Nero di Velluto is produced in Guagnano. The harvest is carried out the second decade of October: the best bunches are separated from the rest and collected manually in wooden boxes. Subsequently, the grapes are left to dry for thirty days in naturally ventilated rooms. The withering reduces by about 40% the liquid part contained in the berries. At the end of the withering period, the grapes are subjected to gentle crushing and destemming. The fermentation of the grapes lasts about two weeks. The wine that is obtained ages for 12 months in French oak barrels. Wine ready after about 6 months of aging in bottle. Duration not less than 10/15 years.